Profile: Born in Bethlehem, Freestate, raised and schooled in Roodepoort, Gauteng. 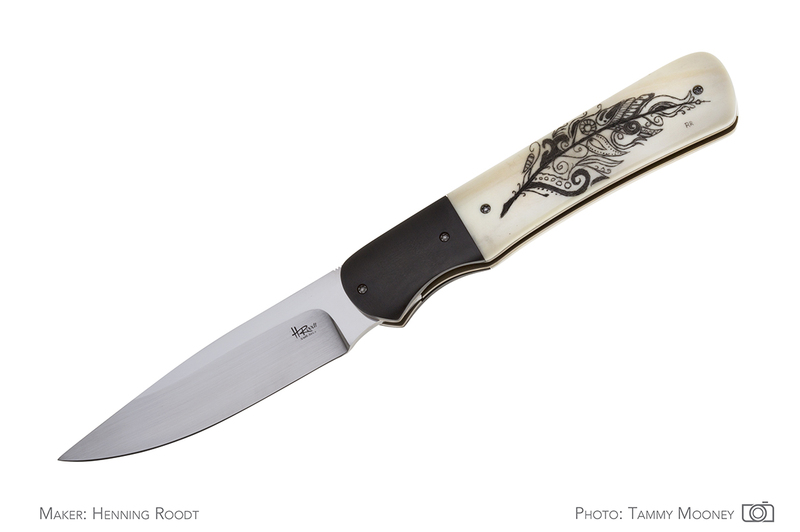 At a young age I visited the Durban Easter Knife Show and told my family that one day I wanted to make knives. In 2009 I started off with hand tools only and made a few knives using a file. In 2010 I slowly started to build my own machines and my workshop expanded, and is still expanding. I soon realised that knife makers are a close "family" that share knowledge and help one another. 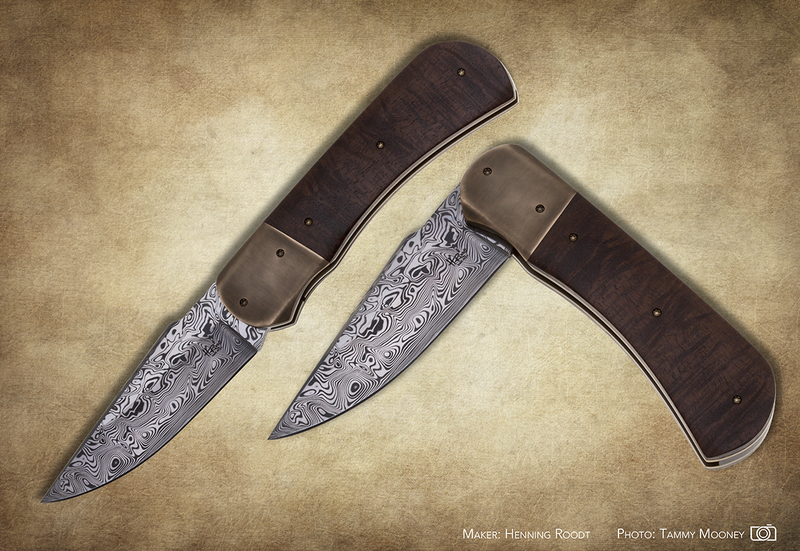 I befriended many knife makers and visited them often asking streams of questions and "stole" with my eyes. 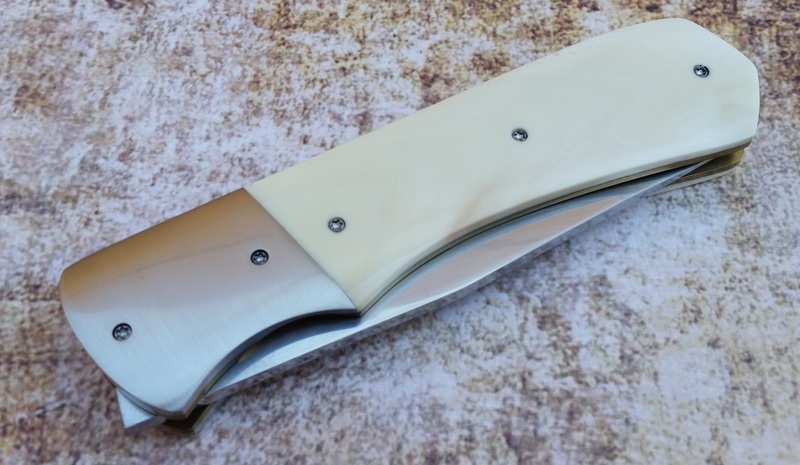 I soon got a liking in making liner lock folding knives. 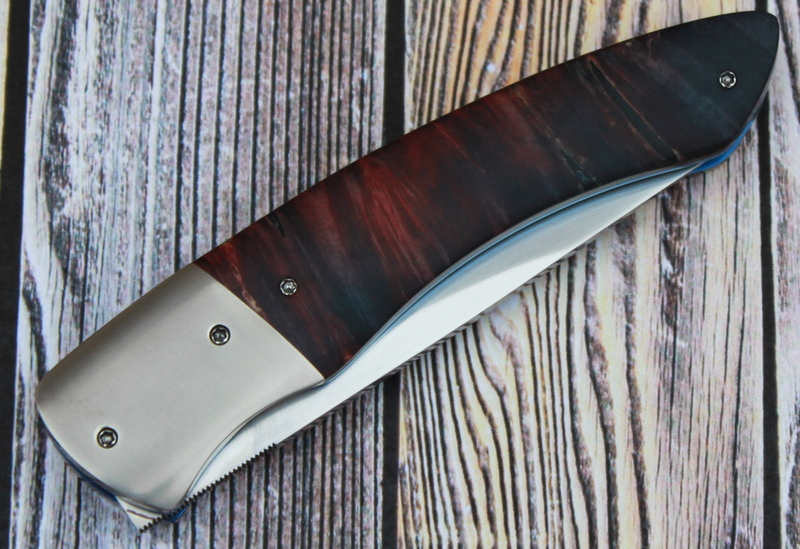 But I try to make at least one fixed blade knife a year. 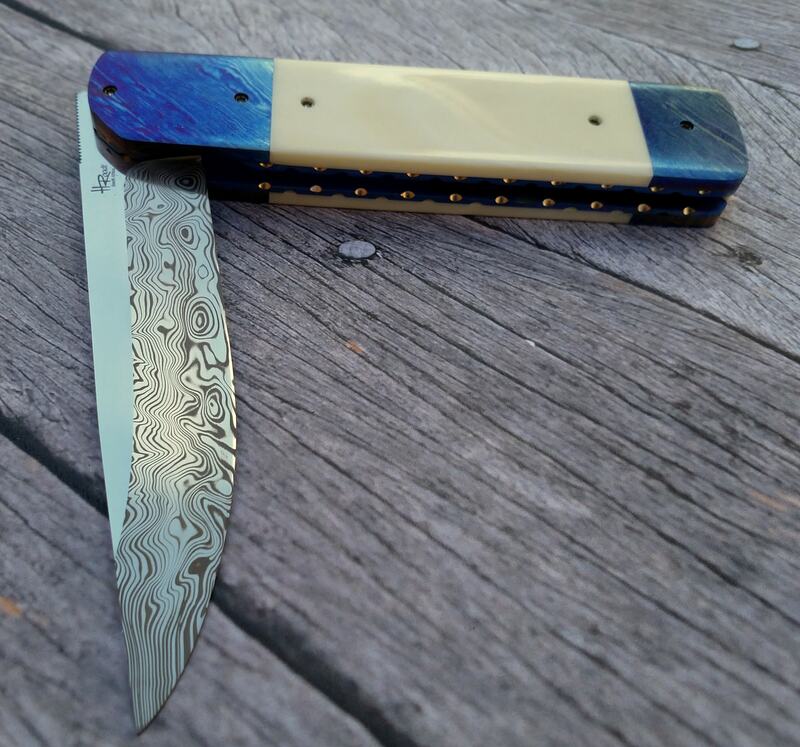 In April 2016 I submitted my five knives for evaluation and were accepted into the SA Knife Makers Guild. I make knives using the stock removal method, and have a personal preference for ATS34, RWL34, 440C and Elmax stainless steel as blade material. 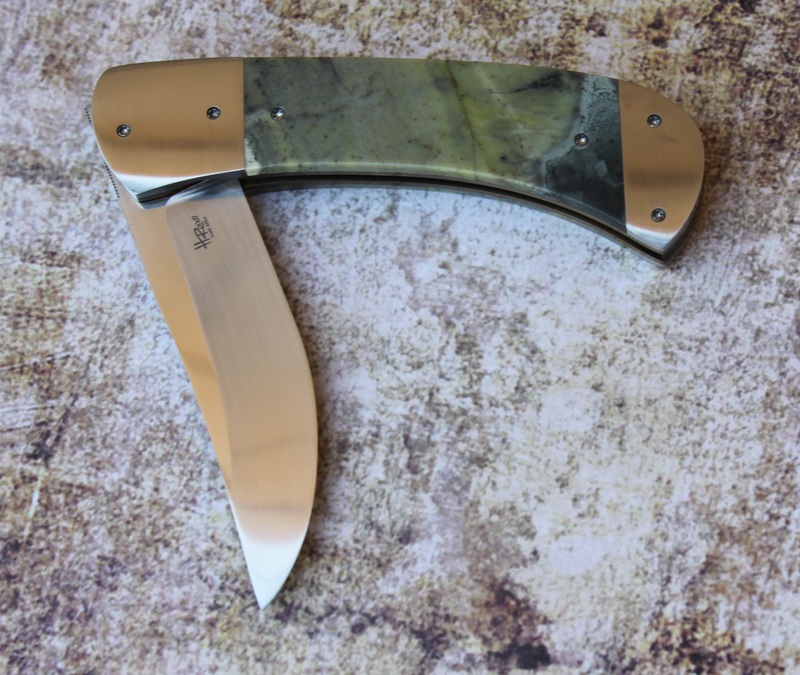 I prefer using natural materials for handles, although some of my knives are dressed in synthetic material. 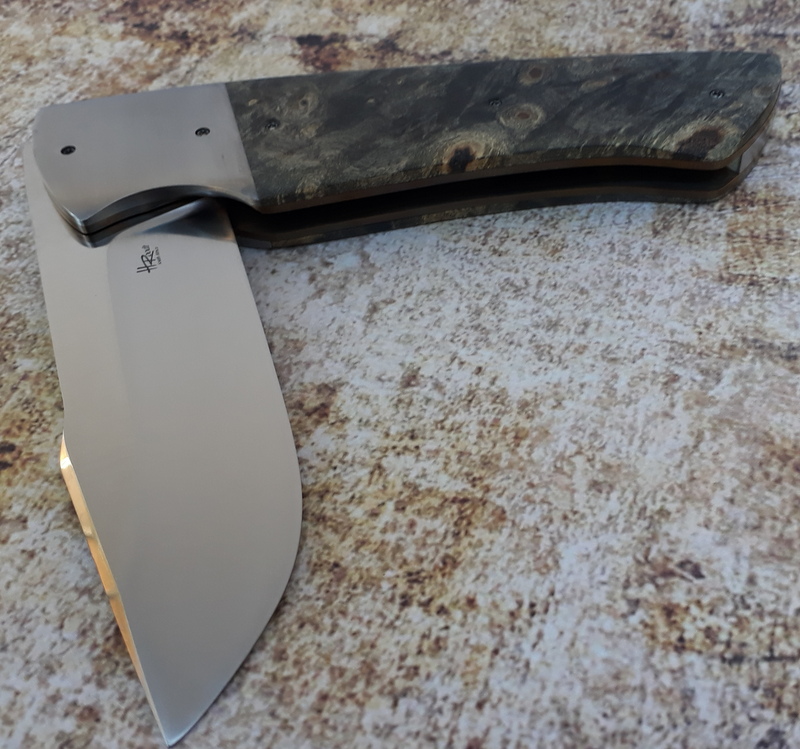 Currently I am making knives on a part time basis only, but plan to do it full time once retired from work. I would like to take this opportunity to thank my wonderful wive and daughters for "allowing" me to spend endless hours in my "happy place" aka workshop. 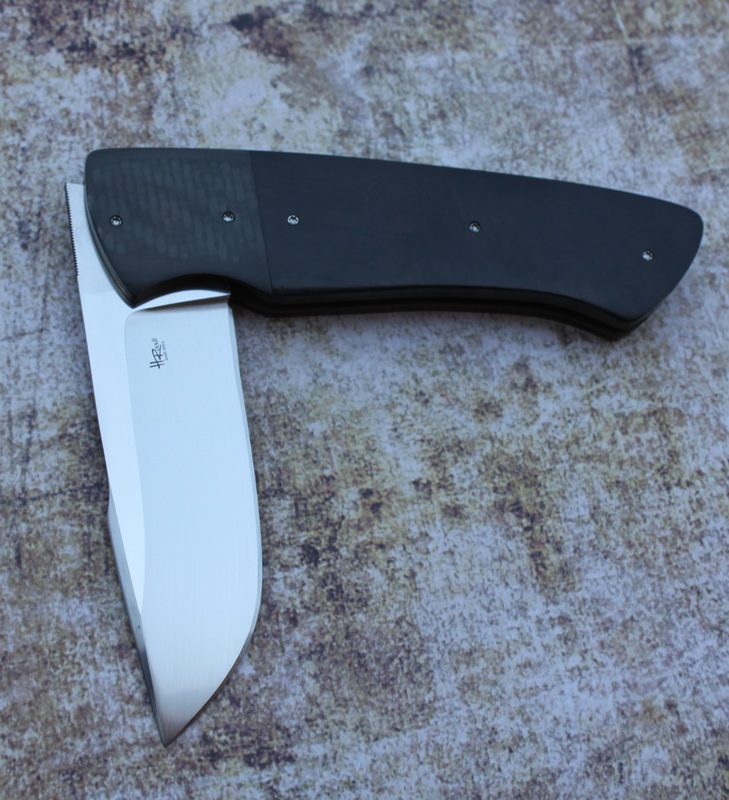 Large Liner Lock Folding Knife. Blade: 3.78mm Elmax Stainless Steel. Bolsters: Milled 303 Stainless Steel. Blade: ATS 34 Stainless Steel. 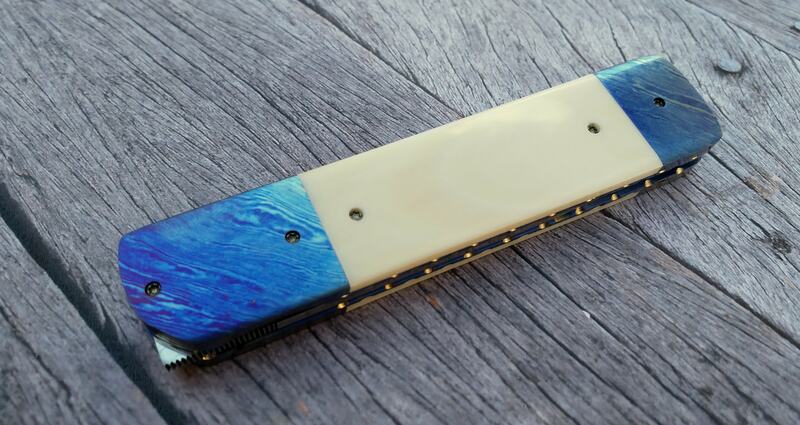 Blade Vinland Damasteel, Bolsters heat colored Timascus, handle Hippopotamus Tusk, Liners filed two color anodised Titanium, Stainless Steel screws also heat colored.